A luxury hotel in Lisbon, Portugal. 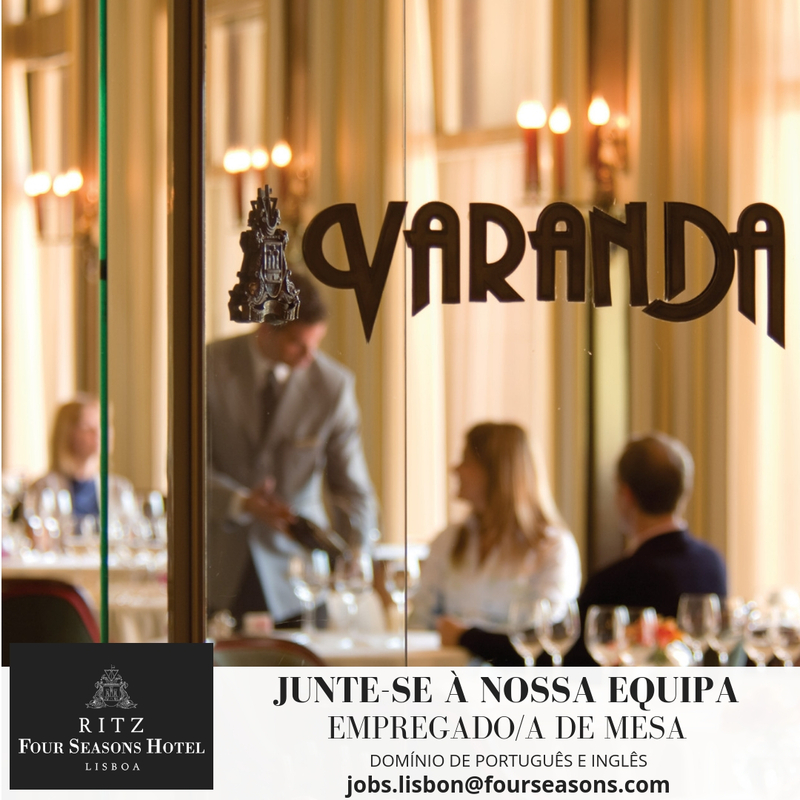 Long considered the city's finest hotel, Four Seasons Hotel Ritz Lisbon reflects the nobility and charm of historic Portugal, and offers vistas of Eduardo VII Park, St. George's Moorish castle, the Old Town and the Tagus River from atop one of Lisbon's seven hills. It holds 282 high luxury rooms, a high end Restaurant (Varanda) managed by Chef Pascal Meynard and Pastry Chef Fabian Nguyen, a Piano Bar, a Sushi Bar, a Spa and the most beautiful fitness center on the rooftop. Four Seasons Hotel Ritz Lisbon holds one of the most precious art collection in the World, all available for our guests enjoyment. Serve guest needs by providing exceptional knowledge of food & beverage menu items as well as information regarding preparation methods. 1. Describe the selection of food & beverage menu items to guests by offering interesting, and vivid descriptions of the each item’s, origin, taste, and preparation methods; communicate guest orders including any special needs or requests to the kitchen using the hotel’s point-of-sales system; coordinate food timings; check completed kitchen orders with the guest’s original order; transport items to the guest table in a timely manner to ensure proper food quality. 2. Anticipate guest needs, ascertain satisfaction, and offer suggestions, and respond urgently and appropriately to guest concerns and requests. 3. Properly and accurately close guest checks; process cash and credit card payments; properly settle voided checks or complimentary meals. 4. Breakdown, clean and set-up of tables, buffets, and food stations. 5. Comply with Four Seasons’ Category One and Category Two Work Rules and Standards of Conduct as set forth in Impact. 6. Work harmoniously and professionally with co-workers and supervisors. Education: High school education or equivalent experience. Experience:	Minimum two years food service or related work. Skills and Abilities:	Ability to carry and balance a tray. Ability to accurately process cash and credit card transactions. If Excellence is what you are looking for, we invite you to submit your application and join our Team! Long considered Lisbon’s premier luxury hotel and located right in the heart of the city, Four Seasons Hotel Ritz Lisbon provides a glorious bird’s-eye view of the city's stunning historic sites – and makes the perfect starting point for exploring its unique architecture. Designed with the intention of marking Lisbon’s name internationally and adding to the prestige of the Portuguese hotel industry, the Hotel is truly a landmark establishment in all senses of the word.